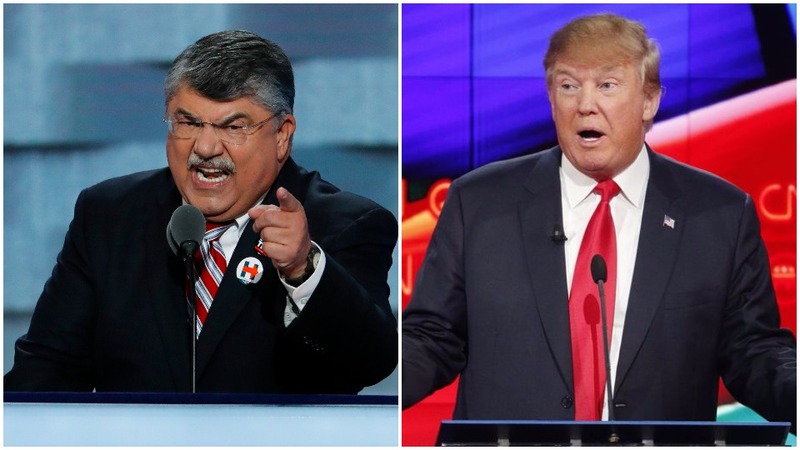 WASHINGTON—AFL-CIO President Richard Trumka hit hard at GOP President Donald Trump’s tax plan. 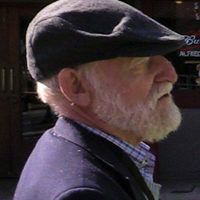 He predicted it would eventually lead to Republican agitation for more cuts to Medicare, Medicaid, and Social Security. Trump unveiled the plan, after weeks of work by his business-dominated economic team. It calls for a cut in the corporate tax rate from its current 35 percent to 20 percent and eliminates the estate tax, a favorite GOP cause. Trump would also reduce the nation’s current seven individual tax brackets to three while reducing the top bracket’s rate. And he would dump most tax deductions, notably the one for state and local taxes, which helps taxpayers in pro-Democratic states—such as Illinois, California, Minnesota, and New York—that provide more services. Trump claimed his plan would help businesses and the middle class. Trumka said, in so many words, that’s a lie. “First comes the promise that tax giveaways for the wealthy and big corporations will trickle down to the rest of us. Then comes the promise that tax cuts will pay for themselves. Then comes the promise that they want to stop offshoring. “And finally, we find out none of these things is true, and the people responsible for wasting trillions of dollars on tax giveaways to the rich tell us we have no choice but to cut Medicaid, Medicare, Social Security, education and infrastructure. “There always seems to be plenty of money for millionaires and big corporations, but never enough money to do anything for working people,” he said. And Richard Fiesta of the labor-backed Alliance for Retired Americans said Trump’s big beneficiaries would be corporations and individuals making more than $400,000 yearly. It’s “a massive tax cut” for them “on the backs of working Americans and retirees.” He also said Alliance members would immediately start lobbying against it. They may need to. Trump wants to use the special Senate procedures, called reconciliation, to jam it through before the end of the year, bypassing Wyden’s committee. Reconciliation requires only 50 GOP votes, out of 52 GOP senators, plus Vice President Mike Pence as the tie-breaker. And there’s no filibuster. Trump and GOP leaders tried reconciliation to repeal the Affordable Care Act, but failed when three Senate Republicans defected.